80 Healthiest food - InspireMyWorkout.com - A collection of fitness quotes, workout quotes and workout motivation! 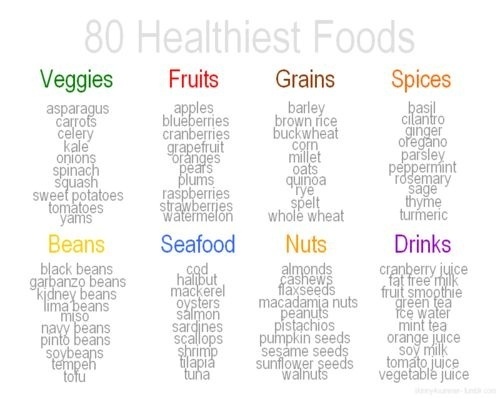 This is a list of 80 Healthiest foods. Watch for them and do substitution whenever you can.